Tru Fit Women’s Fitness 2-Pack Capri Leggings Just $10! Down From $70! PLUS FREE Shipping! 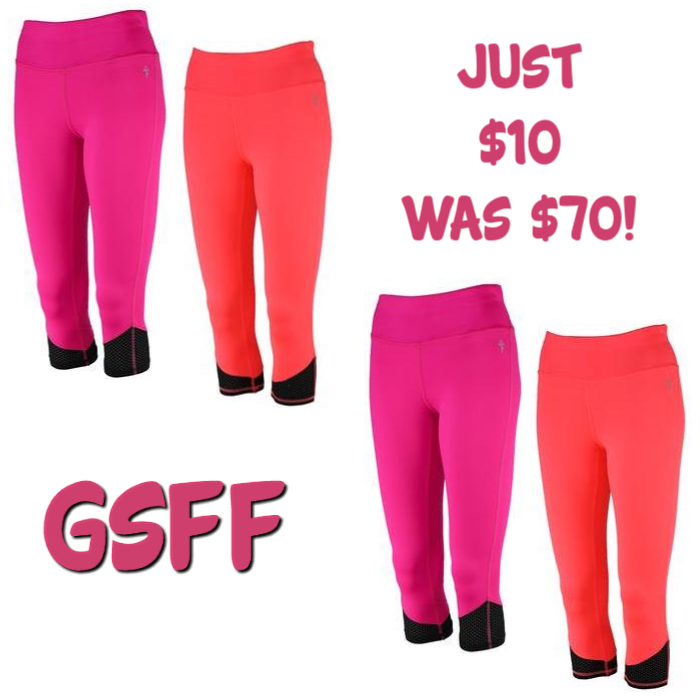 You are here: Home / Great Deals / Tru Fit Women’s Fitness 2-Pack Capri Leggings Just $10! Down From $70! PLUS FREE Shipping! Head over to Proozy where you can score this Tru Fit Women’s Fitness 2-Pack Capri Leggings for only $9.99, down from $70, with the exclusive code PZY999! Plus, enjoy FREE shipping! The Tru Fit Women’s Fitness Capri Leggings keep you moving from the moment you step out the door. Made with quality fabric and versatile style, you can wear these leggings if you are working out, taking a long flight or when you are simply lounging around. Made stretchy, moisture-wicking fabric that helps keep you cool. Apart from spandex in the waistband, these leggings are breathable amd soft so you can wear them all day. The stretch in these leggings make them a comfortable fit for almost any shape.